Secrets of the UK’s best engineering apprenticeships and an insight into the industry. Where to find them, how to apply, and why they might just be the best option for you. Are you considering a career in engineering? Hats off to you. Hats off for two reasons. First of all, engineering is a fantastic industry, and second, you’ve just stumbled across one of the best routes into it. An apprenticeship in engineering! The field of engineering concerns the application of science and mathematics to solve real-world problems. We constantly interact with the products of engineering in our day to day lives. Whether it be the train you miss every morning, the phone you use to call in late, or the fifteen-storey building you dash through at quarter-past nine, each is a feat of engineering. Engineering is involved with every part of the creation process, from research to design, production and testing. If you dream of improving or inventing new tools and technologies, of building the first gingerbread skyscraper or the next wobbly bridge, engineering might just be the career for you. Have you ever wondered how a plane stays in the air, or how a Chicago Town pizza can be cooked in three minutes? Engineers have made it possible. They consider the existential puzzles, of aeronautics and quick-cook pizza, finding practical solutions to a wide range of our problems. Engineers usually work on a specific project in a small or a large team. Given the array of different areas that engineers work in, it is hard to pin down exactly what an individual engineer gets up to at work. Each engineer may contribute something different as part of a team. However, all engineers require good communication skills, need to be creative, and able collaborate to be successful in the engineering industry. Meet Harry. Harry is a Service Engineer Apprentice at British Gas, and just two years after finishing his GCSEs, he is working full-time in the engineering sector, receiving on-the-job training and earning a salary. 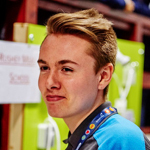 Read this case study and find out why Harry would recommend an apprenticeship to anyone considering a career in engineering. If you’re in a hurry because the One Show has just started, (which if anything is a reason to keep reading), you can click on the links above to jump to sections on each field, containing useful insights and apprenticeship vacancies. Have you ever wondered how a Ferris wheel spins? Or thought of an invention that could replace the backscratcher? If these are the sorts of questions you ponder, an engineering apprenticeship is something you should seriously consider. An apprenticeship is a pathway leading to a future career in the engineering industry. One day you might be able to answer the question, will there ever be a boy born who can swim faster than a shark? How do engineering apprenticeships work? An apprentice engineer studies for a nationally recognised qualification, while obtaining relevant, paid work experience in the engineering industry. Apprentices will work for at least 30 hours a week for 30 weeks a year. That time will be split between learning practical work skills, and working towards an engineering diploma. Entrants must be at least 16 years old and out of full-time education. Aside from this, entry requirements depend on your employer, so it’s a good idea to check the information on vacancy pages. In this short video, three apprentices and their tutors discuss the day-to-day life of an engineering apprentice. Why should I do an engineering apprenticeship? The real question should be asking yourself, is why wouldn’t I do an engineering apprenticeship? There are no reasons. An apprenticeship is an opportunity to gain real work experience in the engineering industry. Work experience in any industry provides an insight into what a career might be like in that sector. It is impossible to know – after school or after university – if you are suited to a specific job or industry. How could you possibly know if you would make it as a milkman if you haven’t raced a milk float around the block a few times? On top of this, apprentices are highly employable because of the work experience gained by completing an apprenticeship. Having evidence that you are familiar with working in a laboratory, or on the manufacturing floor, may separate you from your rivals when applying for jobs. An apprenticeship is also a route into a career in engineering that avoids soaring student debts. Students accumulate an average of £44,000 of debt by the time they graduate. Student loan repayments aren’t something to look forward to once a month, not like your monthly delivery of The Potato Review magazine. Not only do apprenticeships avoid student loans, all engineer apprentices are paid while they qualify. So ask yourself again, why wouldn’t I do an engineering apprenticeship? So you’re on board with doing an engineering apprenticeship, but how do you find the course that’s right for you? RateMyApprenticeship can help you here too! We have thousands of reviews of apprenticeships in the engineering industry, written by the apprentices themselves. The reviews delve into apprenticeship programmes at some of the UK’s biggest engineering companies. Each apprentice explains whether or not they enjoyed the course; the support they received from employers and training providers; and any tips they would give to those who are considering an engineering apprenticeship. Each engineer apprentice will be on a different salary; they vary from employer to employer. We’ll go through the minimum an apprentice can earn – from there it can only get better. The national minimum wage for all apprentices is £3.70 an hour. The minimum applies to apprentices below the age of 19, and those aged 19 or over who are in the first year of an apprenticeship. The rates of National Minimum Wage are listed in the table below. For more information on apprenticeship pay, visit gov.uk. Engineering apprenticeships usually pay over the national minimum wage. The reviews on RateMyApprenticeship are a great place to get an idea of how much engineer apprentices get paid. Salaries vary between £12,000 to £28,000! Have a peek at the engineering reviews here. We know that some of you are so passionate about engineering, you would emigrate to Ukraine if it meant finding an apprenticeship in engineering. There’s no need to move to Ukraine. On RateMyApprenticeship, we have apprenticeship vacancies in locations across the UK. You can even alter the search to target jobs in specific regions. An intermediate apprenticeship, (also called a Level 2 apprenticeship), is the most basic engineering course you can apply for, and is equivalent to 5 GCSE’s. These programmes can take 12-24 months to complete. A course such as this is a fantastic introduction to engineering, and can lead to higher level apprenticeships, a degree, and even a career in the industry. As an example, MARINE DATA offer an intermediate apprenticeship, with HIGHBURY COLLEGE as a training provider. If you finish this course, you will be awarded with an NVQ in Performing Operations Level 2, and a BTEC National Certificate in engineering. You can find the full job vacancy at the Skills Funding Agency. This is but a small example of what an intermediate apprenticeship in engineering looks like. If you’re feeling bold, you can have a look at the openings on RateMyApprenticeship. The button below will whisk you away to our page dedicated to Level 2 engineering apprenticeships. There are enough job listings to keep you occupied for an entire episode of Time Team. An advanced apprenticeship in engineering is also called a Level 3 apprenticeship. This qualification is equivalent to two A-levels. If you complete an advanced apprenticeship, you can work towards a higher apprenticeship, and might even be offered the opportunity to study for a Higher National Diploma in Engineering. An advanced apprenticeship is a genuine pathway into an engineering career, so get moving and check out our vacancies! Feeling inspired? If not, maybe the queen can get you there. If you’re really enthusiastic about a career in engineering, you should consider a higher apprenticeship. If you’re savvy, you’ll look at specific job advertisements on RateMyApprenticeship for more detailed entry requirements. Yes. You should definitely do a higher apprenticeship in engineering. Not only does a higher apprenticeship have the benefit of paid work experience, apprentices finish the course with a valuable qualification. Higher apprentices are paraded through the streets like heroes, like astronauts recently returned from space. If the glory isn’t enough for you, there are financial benefits to being a higher apprentice. The Sutton Trust have reported that apprentices with level 4 or 5 qualifications will earn £50,000 more in their lifetime than someone with an undergraduate degree from a university outside of the Russell Group. How to find the best apprenticeships? The reviews on RateMyApprenticeship offer a unique insight into the best engineering apprenticeships. These courses last 3-4 years, so it’s very important you choose the right one. It would be a nightmare to find yourself on a three-year mechanical engineering programme that focused on lawn-mower engines, especially if you have no interest in lawn-mower engines. Follow the link below to hop over to our reviews of intermediate, advanced and higher apprenticeships. If you’ve currently on the lawn-mower engine course, and you want to warn others off signing up, write a review! You’ll be rewarded for your effort with a £5 Amazon voucher. If you loved the lawn-mower part of the course – you might as well write a review! Spread the word about the splendour of garden maintenance equipment. You don’t have to go university to start a career in electrical engineering. An apprenticeship can give you the qualifications and the work experience to force recruiters to chase you through the streets. What is an electrical engineering apprenticeship? An electrical engineering apprenticeship is not the same as an electrician apprenticeship. Electrical engineers create and maintain electrical control systems, equipment and machinery. There is more to it than changing lightbulbs, or fixing fridges. At the end of an apprenticeship in electrical engineering, an apprentice will have developed the practical skills that are necessary for a career in this industry. Should I do an electrical engineering apprenticeship? If you’re interested in a career in electrical engineering, an apprenticeship is a valid pathway into it. Apprentices are paid while they qualify. Apprentices receive on the job training, and gain practical work skills. Apprentices are often employed permanently by the company they have been training with once they are fully qualified. Apprentices are winning at life. Could you? Will Pycroft is living the dream. He is an electromechanical engineer apprentice for Nestlé. His apprenticeship is in a chocolate factory! Where do I find apprenticeships in electrical engineering? We have vacancies for engineering apprenticeships right here! You can find all levels of apprenticeships, and if you’re feeling peppy, have a look at the vacancy pages for other school-leaver programmes – traineeships, work experience, sponsored degrees. We have them all! Mechanical engineers require similar knowledge and skills to electrical engineers. They also work in a number of different environments. A mechanical engineer might be on the factory floor on a Monday morning, working on an outside site on Tuesday and be in the office on Wednesday. It’s a rock and roll lifestyle. 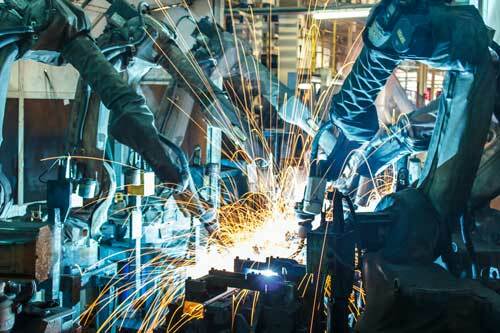 Research and Development – studying and testing possible solutions to repair machinery. 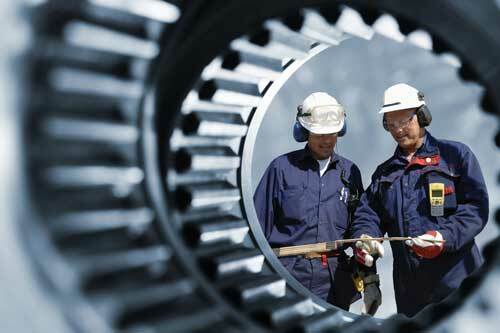 Repair and Maintenance – identifying and resolving faults in equipment and machinery. Design – using CAD (computer aided design) software to modify existing products and draw up plans for prototypes. Construction – Installing, assessing and correcting machinery to make sure they are operating smoothly. Read this case study from The Institution of Engineering and Technology for an insight into the life of a mechanical engineering apprentice. Doing a short work experience placement with a mechanical engineering is a fantastic opportunity to see for yourself what the job is really like. An insight into the industry will provide you with the valuable information you need when making career decisions. It would be like being able to have a small sample bite of a Pret sandwich, before having to pay £4.35 to see if it's as tasty as the adverts say. Work experience is also a chance to build a network of contacts in the engineering industry. When it comes to searching for a job, having a chum who works in the industry could be really useful. Another benefit of work experience in mechanical engineering is that it shows employers that you have a passion for the subject. Work experience instantly makes you more employable. TRANSPORTATION – canals, railways, airports. STRUCTURAL – buildings, dams, pipelines. ENVIRONMENTAL – flood barriers, water supply, power supply, drainage. 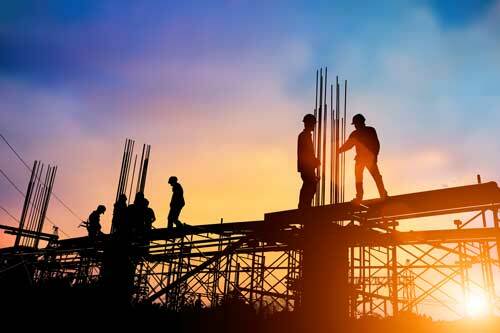 Why should I do an apprenticeship in civil engineering? Have you ever looked at a big bridge, or even a small bridge, and wondered – who built that magical structure? It was probably a civil engineer. If you want to design the first bridge made of cheddar, or build a railway line that connects Newcastle with Nairobi, civil engineering is the career you’re after. An apprenticeship in civil engineering will provide with paid work experience in the industry, while you study towards a Higher National Certificate or a Higher National Degree. For more information on how an advanced or higher apprenticeship in civil engineering might be structured, visit the Institution of Civil Engineers. Keep reading to learn more about where to find engineering apprenticeships in London and the rest of the UK. To put it in simple terms, chemical engineers turn raw materials into useful products and appliances. We depend upon chemical engineering for our energy resources, clothing and food - from turtleneck sweaters to cucumber sandwiches. There are currently no apprenticeships that have been designed around chemical engineering as an individual discipline. There’s no need to start an uprising, or march on parliament and demand apprenticeships for chemical engineers. If anything, the upheaval would disrupt the government’s promise of increasing the number of apprenticeship starts. So put down the torch and your pitch fork (if you managed to find one). There are apprenticeships you can apply for that lead towards a career in chemical engineering. GSK offer a multi-skilled engineering apprenticeship, which can be used as a platform to gain a degree in chemical engineering. Follow the link below to view engineering apprenticeships like this! Are you searching for an engineering apprenticeship in London? If you happen to be one of those people, it is time to stop stalking the recruitment officers at engineering companies. There is no longer any need to chase their cars or leave edible bribes on their desks. On RateMyApprenticeship you can make a targeted search on our jobs page, to find engineering apprenticeships based in Central and Greater London. It’s so easy! There is no running involved. If you live in the North East, you can also target your apprenticeship search to find jobs in your area. The North East is one of the industrial heartlands of the UK, so there are plenty of engineering apprenticeships on offer. To focus on apprenticeships in the rest of the UK, visit our jobs page. You can tailor your search to more locations and different levels of apprenticeships. You might here people refer to automotive engineering as car engineering, or just automotive apprenticeships. These people aren’t crazy. Each term represents the same discipline. Automotive engineers work on the design and manufacture of vehicles, or develop the technology of existing vehicles. This type of engineering has its roots in electrical and mechanical engineering. Apprenticeships in this field are normally offered by large car manufacturing firms – BMW Group UK, Jaguar Land Rover, Toyota Manufacturing UK and Vauxhall Motors all run automotive engineering apprenticeships. Aircraft engineering apprenticeships can often be confused with aircraft maintenance engineering courses. These two programmes cover a lot of the same content. Aircraft apprenticeships are typically organised by aviation companies. While most other apprenticeships are split between theoretical study at a local college and paid work experience with a company, aircraft apprenticeships are almost entirely ‘in-house’. Aerospace engineering is the field of engineering that describes the development of aircraft and spacecraft. This field can be split between two modes of study; aeronautical and astronautical. Aeronautical engineering apprenticeships typically focus on civilian or military aircraft, investigating issues like fuel efficiency and flight safety, and testing the environmental impact of flight. Astronautical engineering apprenticeships are little more Armageddon and Independence Day. Apprentices in this field put more emphasis on developing and testing crafts and equipment for operations outside of earth’s atmosphere. Entry requirements for apprenticeships in these sectors vary, most training providers ask for candidates between the ages of 16-24. For specific entry requirements, it’s worthwhile checking the information on vacancy pages. If you complete an aeronautical or astronautical engineering apprenticeship, entry level positions as engineering technicians, fitters and modellers are all at hand. Degree-level education is needed to become a fully-qualified aerospace engineer. However, if you have already completed an advanced or higher apprenticeship with an aviation company, they have the option of funding your higher education. For more information about sponsored degrees, click here. Marine engineers design, build and repair vehicles and structures that are used on or around water. If you don’t like getting wet, this might not be the right career path for you. Apprentices in this field are trained so that they have the specific skillset needed for a career in marine engineering. SHIP BUILDING AND REPAIR – focusing on the design construction and maintenance of ships and boats. LEISURE BOAT INDUSTRY – apprentices will learn about the manufacture and repair of a wide range of crafts, from canal barges to yachts. For a more detailed outline of marine engineering apprenticeships, visit the National Career Service. Design engineering covers a number of engineering disciplines, including chemical, civil, electrical, mechanical, structural – the list is almost endless. This is a ‘cradle to grave’ form of engineering. A design engineer is involved at every stage of a product or a structure’s creation; beginning with design, prototyping, production and final testing. Nuvia UK offer an advanced apprenticeship in design engineering. The first year of the course is with a training provider, with a focus on learning practical skills, such as welding, fabrication and working with tools. The rest of the four-year course is based in a Nuvia design office, working on real projects in a team of experienced engineers. An apprentice will earn a competitive salary for the duration of the programme, and qualify with a Higher National Certificate. If this is the sort of course that catches your eye, have a stroll over to our jobs page. Be quick about it though, application deadlines are always fast approaching. Railway engineering is a field of engineering that deals with the design, construction and operation of railway systems. Railway engineers need to have an understanding of a wide-range of engineering disciplines, so apprenticeships in this field can cover civil, computer, electrical and mechanical engineering as part of their training. Railway engineering apprenticeships are usually organised by rail providers. Network Rail offer a 3-year advanced apprenticeship, which is split between working in a depot, and study periods at Network Rail’s Training Centre. Click here to read Arran’s full case study, with the stories of other railway engineer apprentices. 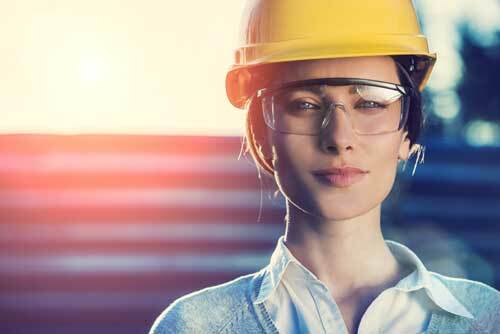 Did you know you can gain an engineering degree, tuition free, while gaining work experience with some of the UK’s biggest engineering companies. If you’ve just screamed out in excitement and terrified the pensioner sat next to you, it’s best to apologise. If they’re still shaking, give them a small smile, nothing too exotic, you don’t want to frighten them more than you already have. But it’s true! Degree apprenticeships are a new government funded scheme, in which apprentices divide their time between working towards a full bachelor’s degree, and full-time work in an industry leading company. 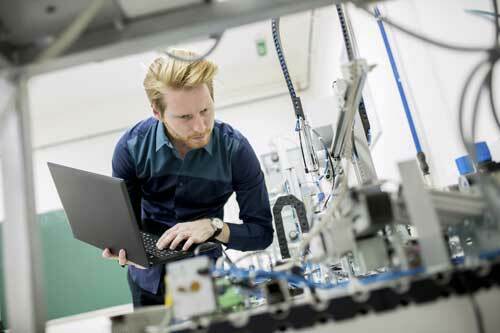 Degree apprenticeships have been created in a number of engineering disciplines, including aerospace, automotive engineering, electronic systems engineering and software engineering. Read our full overview of degree apprenticeships to find out more. Well, this has been a blast – engineering is a smashing industry! An apprenticeship is clearly defined and rewarding pathway into the field, so keep up to date with our job vacancies page, and make sure you don’t miss any more marvellous opportunities to start a career in engineering. You can hear about new apprenticeship vacancies, and have new job opportunities sent straight to your inbox by signing up to RateMyApprenticeship. It’s free!